The Gas Safe Register is the official registration scheme in the UK for heating engineers who install and maintain gas appliances like gas boilers, cookers, and fires. They took over from CORGI in 2009. 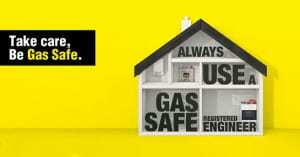 Housewarms Gas Safe registration number is 533062. If you can not find a certain company or engineer in their database, then there is a good chance that they do not have the correct qualifications to be registered, and therefore, can not carry out any gas work safely or legally. From boiler servicing to gas safety checks, getting a Gas Safe registered heating engineer to do your work is so important for safety mainly but also to make your appliance installations are legal. If for example, you get a boiler installation with a 7-year warranty from someone who is not Gas Safe registered, then your warranty will be void and more than likely your boiler will not be safely installed. If and when you try to make a claim for a boiler repair from the boiler manufacturer, you will not have any cover and you will have to pay for any parts and labour to get it repaired out of your own pocket. So you might think you were getting a good deal when you got a cheap boiler installation, but in the end, your new combi boiler installation cost could go through the roof when you eventually have to pay someone else to put it right. Go to the Gas Safe register website for more information and check to see if a plumbing company, or individual heating engineers, are legally registered to carry out any kind of work on your gas boiler or any other gas appliance installation. Good morning! Just wondering how much do you charge for a boiler service please?. The property is in Kenton NE33EZ. I’m currently living in Wales and the estate agent has access to the property, I’m in the process of selling the property and the boiler requires a service before completion. Thank you, Emma.